Strong 6.4 Magnitude Quake Strikes Indonesia More than a dozen people have been killed and more than 160 others injured in a 6.4 magnitude earthquake that shook Indonesian tourist spot Lombok island and surrounding areas, officials say. Damage is seen after a magnitude 6.4 earthquake rocked Lombok, Indonesia, early Sunday. 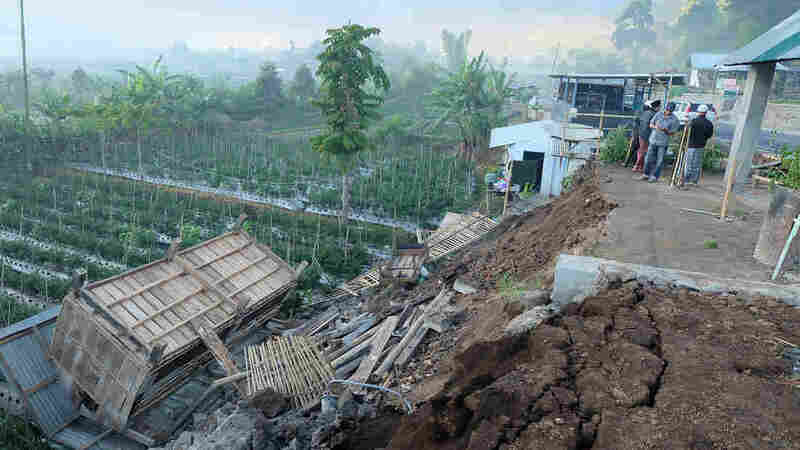 The hardest hit region was East Lombok, the agency says, where eight people died and 10 people are seriously injured. Striking at 6:47 a.m. local time, the quake's center lies 31 miles northeast of the city of Mataram on the northern part of Lombok island, the U.S. Geological Survey (USGS) said. The USGS said the quake struck at a shallow depth of 6.4 kilometers (3.98 miles). Quakes originating from shallower depths tend to result in greater destruction. "Indonesia is prone to earthquakes due to its location on the Pacific 'Ring of Fire,' an arc of volcanoes and fault lines in the Pacific Basin. In December 2004, a massive magnitude 9.1 earthquake off Sumatra triggered a tsunami that killed 230,000 people in a dozen countries."